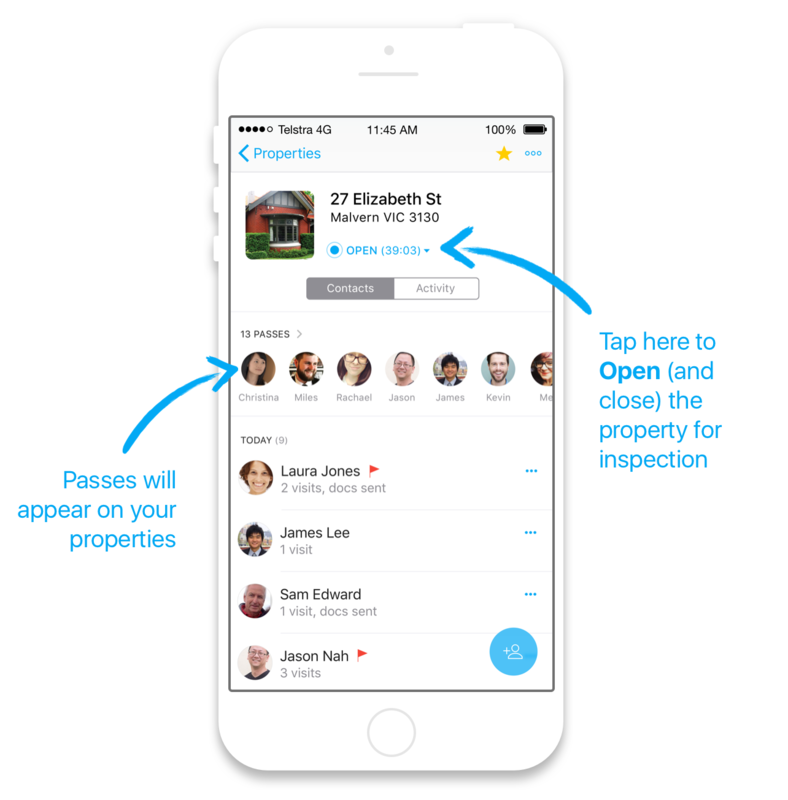 Visitors with the Domain app can get a pass for your inspection. In Homepass, you'll see these represented on properties as Passes. When you begin the inspection, you need to make sure the property is Open in Homepass. If it's a scheduled inspection, we'll do this automatically for you. Otherwise, you'll need to do it manually. When a property is Open in Homepass, it's scanning wirelessly for passes. You'll need to ensure your phone's screen is on, Bluetooth is enabled, and the Homepass app is open. When visitors with a pass arrive at the inspection, they'll be checked in – automatically – and you'll receive a notification. You're also able to manually scan a pass to check in a visitor. 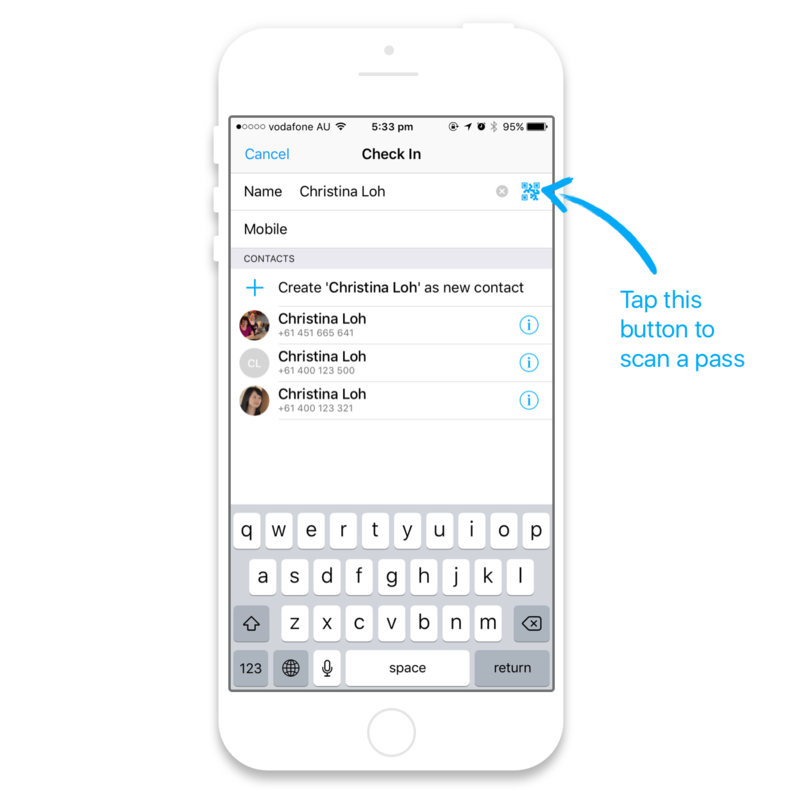 To do this, simply tap the Scan Pass button on your Check In screen.